Your editor first met Dr. Brien Seeley, founder and President of the CAFE Foundation, at the Western Workshop for the Experimental Soaring Association in 2007. Dr. Seeley spoke about the CAFE Foundation and its many areas of research, including its first two Electric Aircraft Symposiums. Seven years later these events and this blog are among the few resources for people seeking information on this developing field. He spoke then about a novel idea, an aerial taxi service that would eventually become fully autonomous, hauling people on short-to-medium range trips in small, electric aircraft that would fly out of very small airports. This seemed a bit of science-fiction at the time, but Dr. Seeley has continued to promote this idea, gaining valuable allies and convincing growing numbers that this is a practical alternative to the wasteful clogs on our nation’s highways, taking their toll on time, treasure and the human spirit. Parking lots, in fact, crowd almost everything else out of urban environments, each car taking up 2,700 square feet of pavement according to Todd Litman, founder and Executive Director of the Victoria (BC) Transit Policy Institute. That’s more space than the average family home, normally shared by four or more people. Hardscape, the asphalt and concrete required to serve new vehicles, paves over land equal to a strip 20 miles wide and 423 miles long each year. That swath would run from Rohnert Park (very near the annual Electric Aircraft Symposium) to Newport Beach, California. Imagine adding an equal swath each year to accommodate the nearly 90 million vehicles produced each year. Imagine 20 mile wide paved strip from Rohnert Park to Newport Beach, then imagine adding a strip like this every year. Where would we farm? Dr. Seeley asked whether airports themselves need to be parking lots, a tremendous amount of space used to store cars of travelers who are elsewhere, probably renting cars that also need parking spaces. As an alternative, Dr. Seeley proposed the use of driverless, electric vehicles that could be summoned on demand, much like the program being initiated on Google campuses. 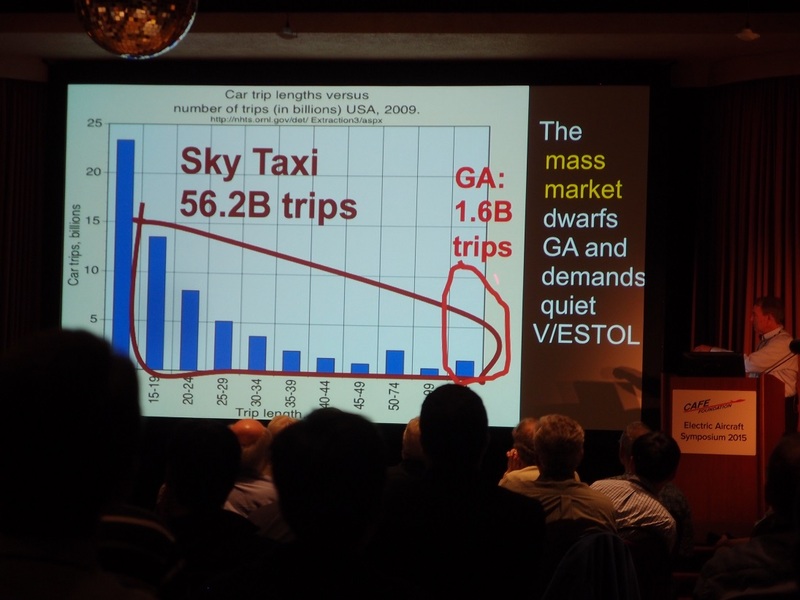 Many of these alternative vehicles, in Dr. Seeley’s opinion, should be aircraft. That may be a tough sell. Last year, Light Sport Aircraft sales, for instance, numbered a disappointing, and disappearing 255. Spending $150,000 or more for a machine that most of the time will take up lots of expensive space going nowhere is not appealing. 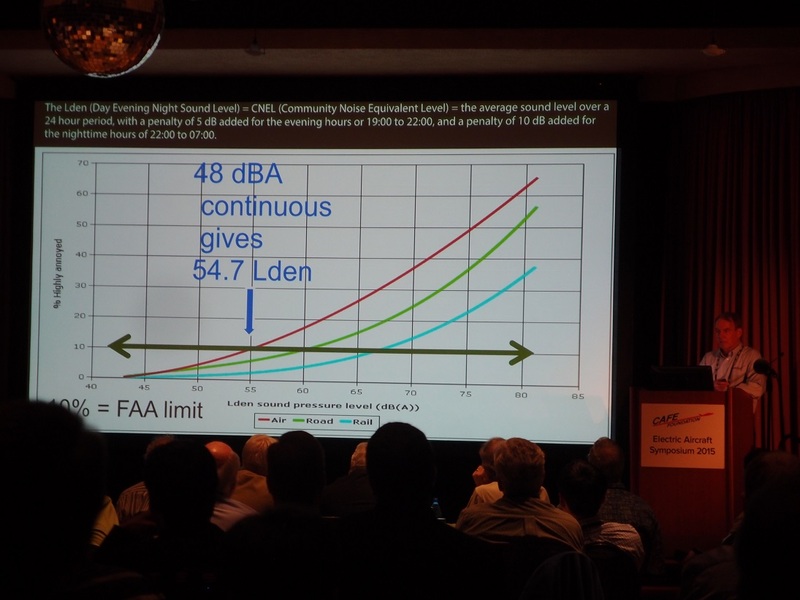 One solution is to improve that duty cycle, so the aircraft are flying a majority of the time. This probably won’t work with conventional machines as we know them, with their down time for inspections, regular servicing and unplanned repairs. Their noisy passage requires that they stay at airports at some distance from most centers of commerce or residence, making them even more inconvenient. What if aircraft were ultra quiet, could lift off in 90 feet and climb swiftly, barely causing notice in the nearby neighborhoods? 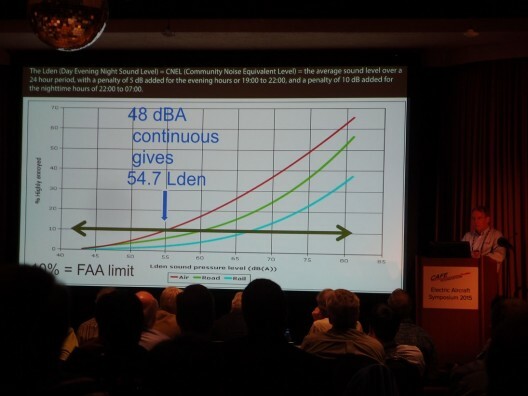 The FAA requires that no more than 40 percent of a neighborhood can be annoyed for an airport to be allowed in its vicinity. 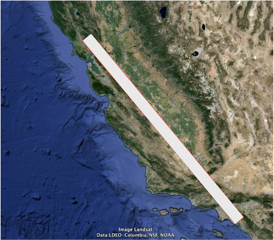 This proximity to residential and commercial areas would allow access to small aircraft that would carry two to a selected destination – on demand. 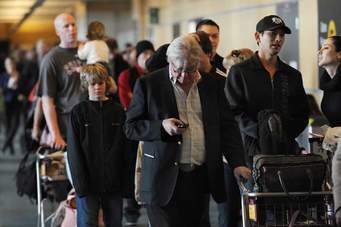 The frequency of their coming and going, and their ability to land at small pocket airparks within walking distance of other transport would enable travelers to travel conveniently, and without a Transportation Security Administration pat-down to delay them. Hopping in an autonomous aircraft might cause concern, but human hands on the wheel might cause even more. Driver error accounts for 92 percent of road accidents, and pilot error causes 83 percent of all air accidents. This adds up to a catastrophic 60 million deaths from auto collisions alone in the 20th century. Dr. Seeley envisions a hub and spokes arrangement of pocket airparks similar to the efficient setup used by UPS and FedEx to deliver packages. Passengers would fly the spokes from one hub to another. Because runways would be a little more than 400 feet long, two airparks could be contained in San Francisco International (SFO), and enable 1,000 landings and takeoffs per hour between them. These transit hubs would complement other transport, with arriving Sky Taxi riders entering a major airport for more distant destinations, or taking arriving airline passengers directly to their neighborhood. To carry out this kind of mission and be available in the numbers required for on-demand, low-cost transportation, Dr. Seeley’s ideal machine would be mass produced, a rarity in aviation. It would be capable of a 36 mile-per-hour stall, a calm pace less nerve frazzling than the thrust-reversing, heavy braking arrival of larger craft. Self-preflighting airplanes, ready to launch every 10 seconds, could allow an arriving passenger to be lined up for takeoff 90 seconds after arrival at an airpark. Such flights, with steep angles of climb and moderate speeds, would enable separations of only 700 feet between aircraft. This could lead to rooftop airparks, 80 meters (about 263 feet) square and a few stories up from one’s departure or destination site, would increase the convenience and efficiency of air traffic. Other than the relatively low cost of each airpark, infrastructure costs are almost non-existent, Sky Taxis taking advantage of existing air traffic control and navigation aids. By comparison, Bay Area Rapid Transit (BART) tracks – often tunneled through the city and under the bay, can cost $1 billion per mile, versus $0 for sky taxi air space. Sky Taxis won’t have to be blazingly fast, since they will compete against a 28.87 mph average transit speed in American cities. Just to make us all feel better, Beijing registers 7.5 mph, giving extra time to wipe one’s eyes from the persistent smog. Green Flight Challenge II will initiate a series of competitions for wheel-motor-assisted takeoff runs, short-field landings and takeoffs, and hushed liftoffs and arrivals. Putting all of this together, the $2 million prize money CAFE seeks to bring about its future aviary could make a profound difference in our commuter culture. 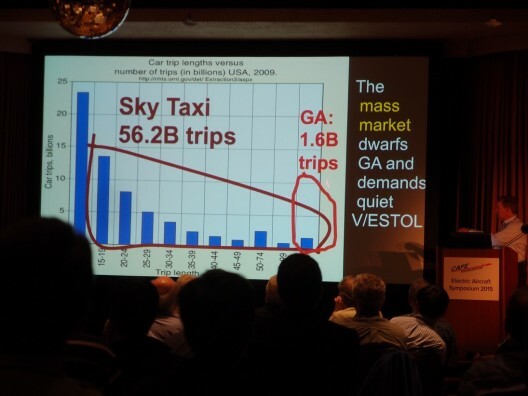 Good as Dr. Seeley’s presentations are, they may be topped by his latest accomplishment, publication of his paper, “Regional Sky Transit,” by the American Institute of Aeronautics and Astronautics. 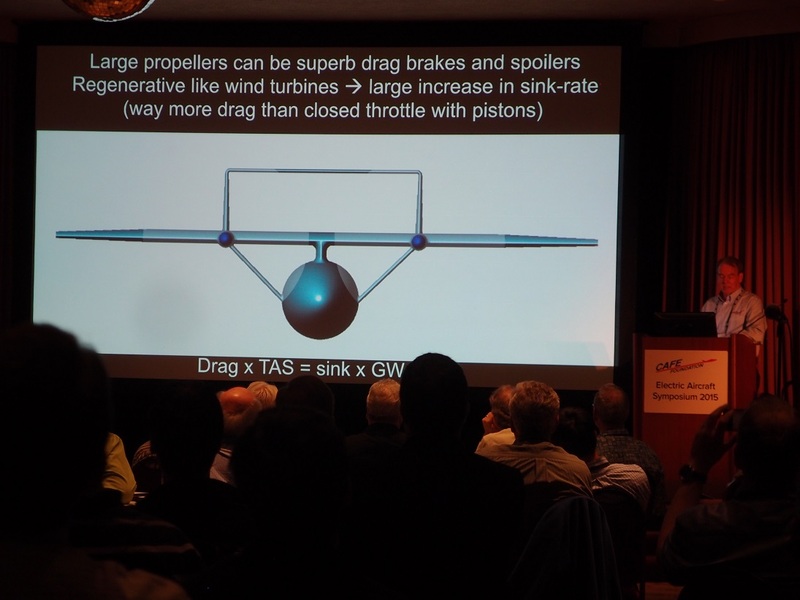 Dr. Seeley presented the paper at the 15TH AIAA Aviation Technology, Integration, and Operations Conference. AIAA members can find the paper here, and in a few weeks, in the CAFE Foundation’s technology library.